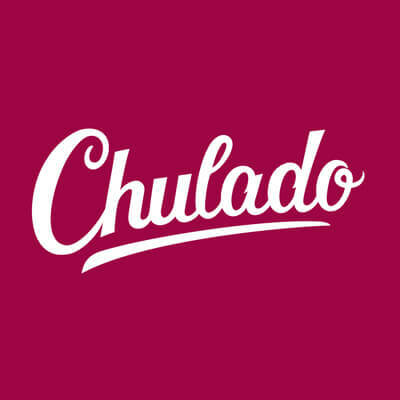 I recently received an email from Google Ads with the heading, “Your Google Ads account was cancelled due to no spend.” My first reaction was to chuckle at the oddly worded sentence. I assumed the email was a phishing attempt by someone to whom English is a second language. However after looking more closely, I came to the conclusion that the email in fact had been sent by Google. What makes things interesting is I cannot recall ever having a Google Ads account associated with the address the email was sent to. 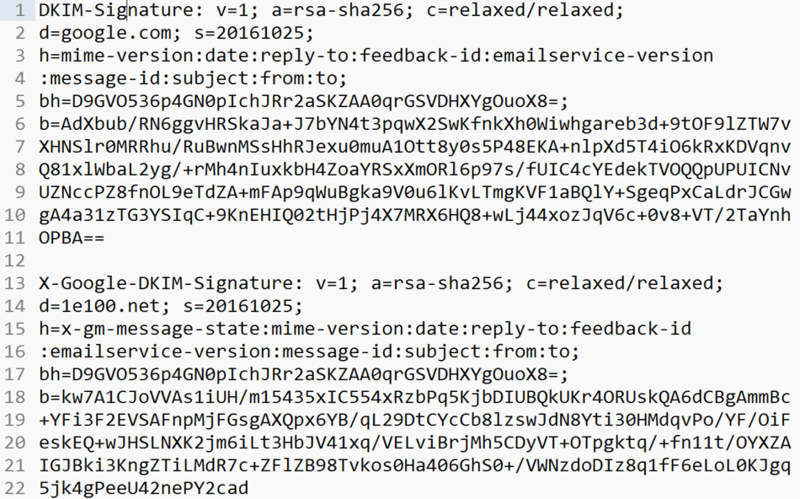 All the links within the email do in fact point to legitimate URLs on Google’s servers. The IP address block as well as the DKIM signature does in fact belong to Google. 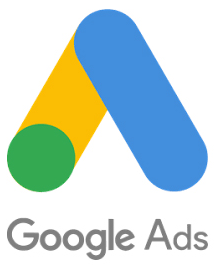 After a bit more research, Google is in fact deactivating Google Ads (formerly Google AdWords) accounts with no activity in the past 15 months. You can reactivate your account, however if there is no activity (ad purchases) within 3 months, the account will again be deactivated — so much for using AdWords for keyword research! This is only a guess, but I suspect Google will eventually enforce a minimal monthly spending threshold in order to kill the cycle of accounts getting deactivated and then reinstated. There is this post in a Google AdSense Help Forum that mentions the exact same email from Google. Google is either trying to clear out of the dead wood, or perhaps this is a clever marketing ploy to convince “no spend” users to open their wallet. 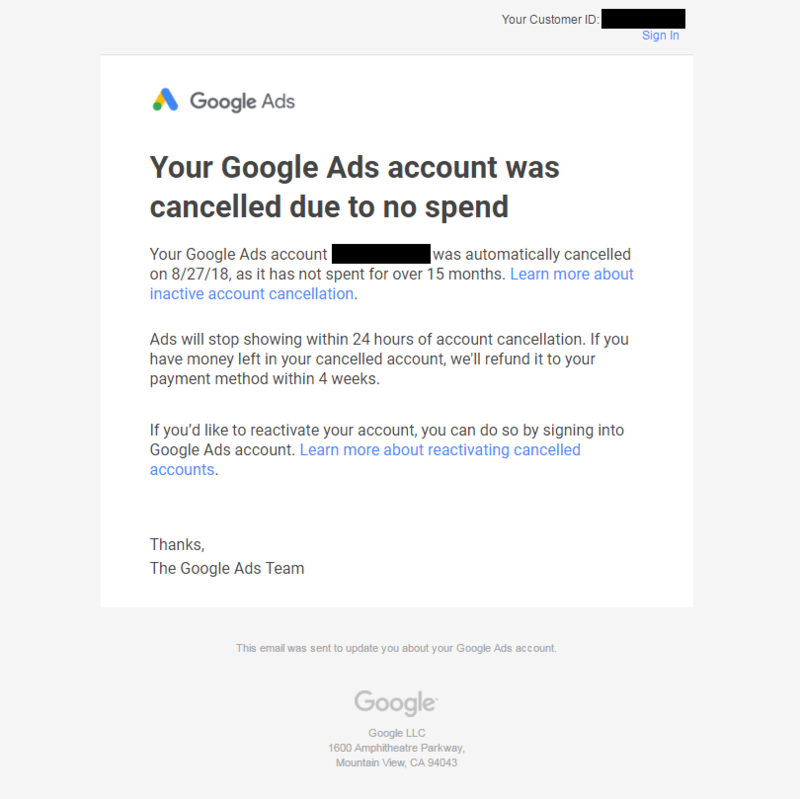 I recently received an email from Google Ads with the heading, "Your Google Ads account was cancelled due to no spend."